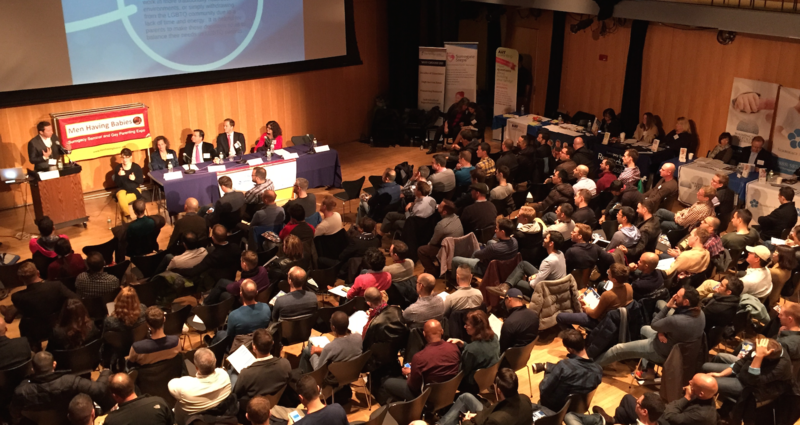 The largest ever conference for gay men seeking to become biological parents took place on November 2nd at JCC Manhattan, which also co-sponsored the event. 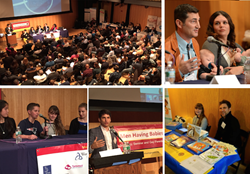 A record of over 250 current and future parents, surrogates, doctors, lawyers and other professionals participated in panels, workshops and a resource fair with over thirty vendor from the USA and beyond. Longitudinal studies show that surrogacy families are generally very well functioning, the children showed positive psychological well-being, and the results were also very positive in terms of how the surrogates felt. Organized by New York-based Men Having Babies (MHB), the world’s only nonprofit organization dedicated to providing current and future gay surrogacy parents with educational and financial support, the 10th annual all-day seminar and expo brought together the largest concentration of the world’s leading surrogacy agencies and fertility clinics ever assembled. In the afternoon session, co-sponsored by Empire State Pride Agenda, experts addressed the state of pending legislation allowing paid surrogacy in New York State, and discussed emerging best practices and model legislation that can minimize risks and maximize the long-term well-being of all persons involved in surrogacy: children, parents, surrogates and egg donors.